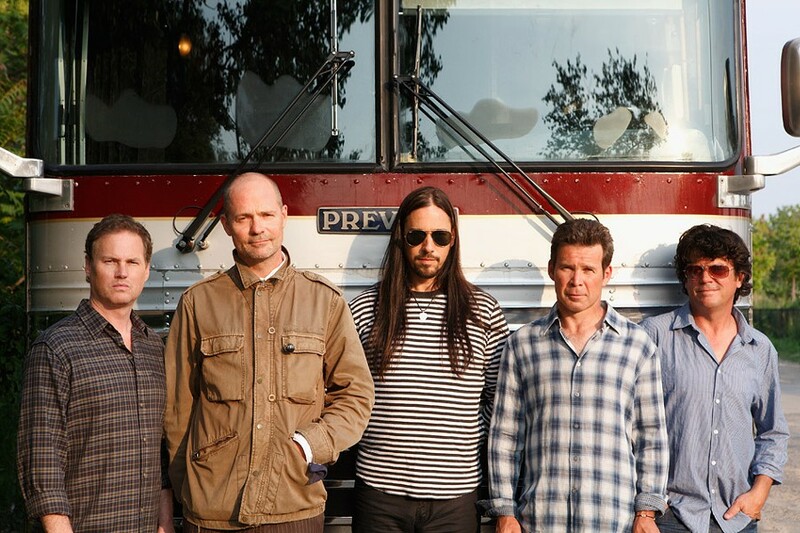 The Tragically Hip performed at CMAC on Saturday, July 4. The last time I saw The Tragically Hip in concert, the Canadian band didn't yet have its own postage stamp, and Bill Clinton was the president. That was 15 long years ago, so when Gord Downie and company announced an area gig, I filed it under "must see." The Hip did not disappoint as it rocked the enthusiastic house at CMAC on the Fourth of July working in a pre-fireworks celebration that was made even better by a complete performance of classic album, "Fully Completely." The Hip did not slow down a bit during a nearly 2-hour set. Charismatic and eccentric front man Gord Downie's voice was vigorous while the rest of the band was at the top of its game. Downie still can't dance though; he twisted and twitched and possibly twerked -- moving like an erratic marionette at times but owning the stage regardless. You could almost imagine him grabbing your arm and miming his own life story on a train trip through the Canadian Rockies. Downie walked onstage in a white suit, black shoes and fedora as the band members picked up their instruments, then it was off with "Grace, Too." There is no better opening line to get things started than "He said I'm Tragically Hip." The band's second tune "My Music at Work" whipped the crowd into action. A fan favorite, "New Orleans is Sinking," slipped through the cracks of American radio but the heavy, bluesy groove got the audience swaying like an old time revival. After a quick changeover, five video panels descended for the "Fully Completely" portion of the show. The Hip ripped through its greatest album as Canadian imagery was projected including grainy film of a snow storm. Two of the album's strongest numbers, "At the Hundredth Meridian" and "Fifty Mission Cap" produced some of the night's cooler moments: both tunes demonstrated the cohesive energy of this extraordinary rock band. The only stage banter all evening was the farewell, "Thank you music lovers." It led to an encore that ended too quickly with "Blow at High Dough." Downie who had been shedding souvenirs into the audience all night was handed a bouquet of flowers at the end, lovingly bestowed by a fan.